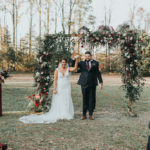 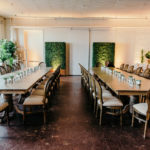 There are some things you can just never go wrong with at a wedding, and this classic, romantic, Charlottesville, Virginia wedding is chock full of them. 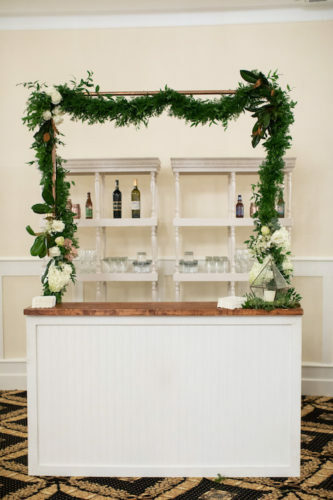 Classic hand-lettered signage, bars with gorgeous greenery swag, and a simple but stunning wedding cake are just a few of the details from this stunning reception at Trump Winery, all designed and pulled together by just a little ditty… and captured by the super talented Aaron Watson Photography! 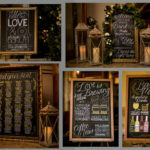 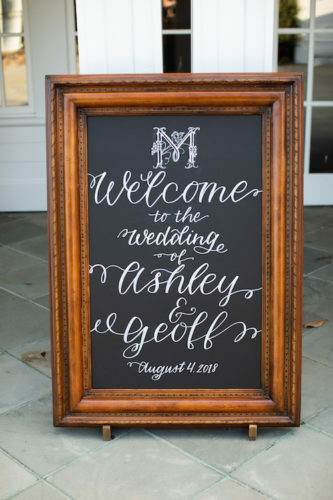 Guests were welcomed to the wedding with this statement frame that featured a hand-lettered chalkboard by our in-house artist. 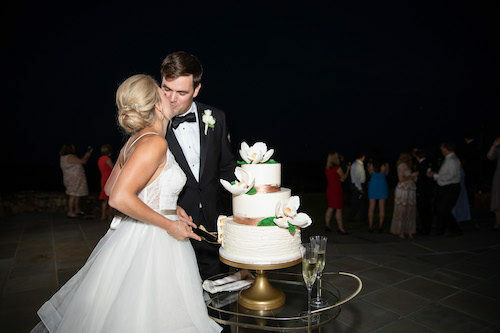 We LOVE the incorporation of the couple’s monogram as a decorative detail here! 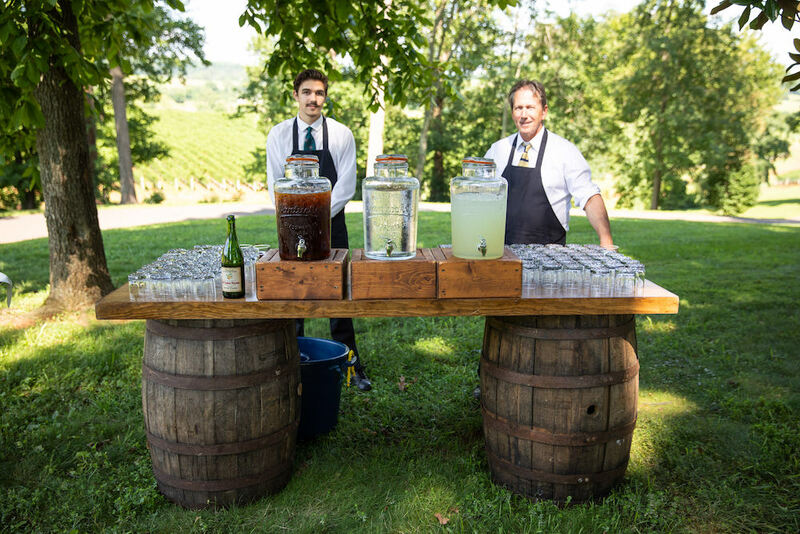 A barrel bar is a great addition to any winery reception, and this set up is no exception!! 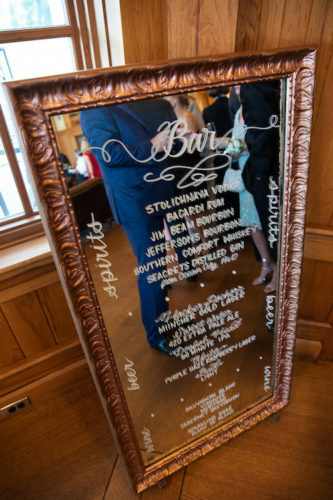 We love a bar menu displayed on one of our copper frames – and this beauty stands 4′ tall! 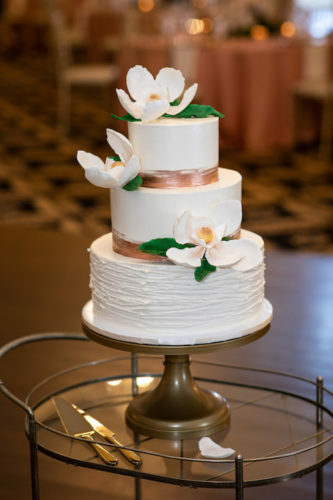 Our Brass & Glass Bar Cart made for the perfect petite cake table – and we’re sure this creation by Cakes by Rachel was as delicious as it was beautiful!